I was flipping through my camera role looking for outdoorsy photos. I came across so many pictures of my kids, adventures we had taken, and special moments shared. The one I chose was this autumn picture taken from my favourite spot in my backyard. I lay out in my lounger chair and look up at this tree sharing my thoughts and feeling comforted and protected by its presence and beauty. 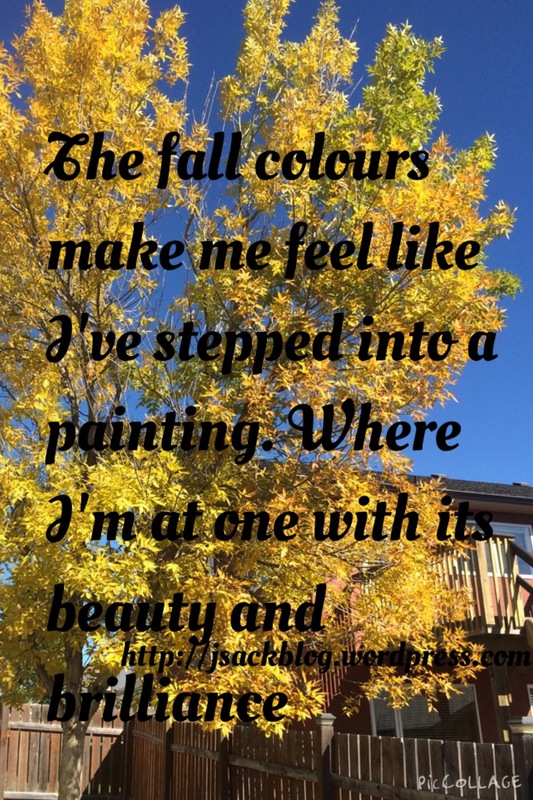 Fall colors… one of the most beautiful things in this world. I totally agree with you.